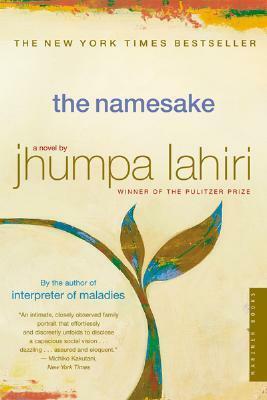 I just started reading Jhumpa Lahiri’s The Namesake. I’ve heard so many positive things about Jhumpa Lahiri since her collection Interpreter of Maladies won her the Pulitzer Prize for fiction, among many other awards and honors including the New Yorker Debut of the Year award, and the PEN/Hemingway Award. It earned the highest critical praise for its grace, and compassion in detailing lives transported from India to America. I can’t wait to see what’s in store from this writer. I finished a short story I’ve been working on the past two months or so, about a young newlywed about to have her first child, who is haunted by strange dreams throughout her pregnancy. I spent much of my Sunday working on the third draft, then rushed home from work to finish it Monday night. I’m giving it one last edit and read through before sending it off to my first reader, who is a longtime friend and fellow writer. From Kristen Lamb’s blog – one of the most helpful and interesting writing blogs I know. For the Word Nerd in all of us. Book lovers, you’ll be able to relate to this. I see a lot of books that promise to show you how to write a novel in a weekend, or a week, or a month. You can try it if you want to, but I don’t advise it. Instead, I suggest you relax, recognize that writing a novel is slow food and takes time. I wrote LIFE WITHOUT WATER, my first novel over a period of two years – first draft in a year, and second and third in another year. I recognized the reality of my life and created a schedule around it. I knew if I did not get any writing done before going to work, I wasn’t going to get any done at all. I was simply too tired after a day of house cleaning (my day job at the time) to write coherently. So I scheduled myself to write for one hour every morning before going to work. Just one hour. I also decided – quite randomly – that my novel was going to be 12 chapters long, and that I would complete one chapter a month. For a whole month I could futz with a chapter, edit, revise, and so on – but at the end of the month I had to move on, even if I didn’t feel 100% about it. I gave myself weekends off and five “sick days” a year, meaning if I really was sick, or hungover, or just didn’t feel like it, I could skip it – but only five days in a year. I kept track of it. And it worked out. I still work this way. For me it’s important to do a little editing as I go along, rather than forbid myself to change anything before the end of the first draft. But it’s also important to keep it moving, and not mire down in the swamp of perfection. Above all, be real about your schedule and your time. You will only be disappointed in yourself if you set unrealistic goals. You might think you’re not a writer because you can’t write a novel in a weekend, or a week, or a month. But maybe you just need to get real about it all. It takes time, and there is nothing wrong with doing something that takes time. Go easy on yourself. Be gentle but steady. The rewards of this life are more abundant than you know. What about you? Did you read anything interesting this week? What are you working on in your writing? ← Is Listening to Music while you Write a Distraction or an Inspiration? What a fabulous quote & I’m looking forward to check out your blog post finds. So tickled that we inspired you to do your own What I’m Writing/Reading series. I hope you’ll continue to come by our place and share a link to your posts. Thanks for stopping by! I’m a regular reader of the NHWN blog so I’ll be sure to check in and share!